Wisconsin needs to grow its residential workforce not by tens or hundreds of people a year, but by thousands of people each year for the next twenty years to meet the projected demand. Without these workers, Wisconsin's ability to invest in critical infrastructure and maintain a high quality of life will face serious challenges. We cannot meet the demand for these jobs without focusing on workforce recruitment and workforce retention. Wood Communications Group is working closely with Competitive Wisconsin, Inc, regional economic development organizations, education institutions, and major businesses around the state to identify recruitment and retention strategies that will help to fill high demand positions as soon as possible and create a talent supply chain that will help address the State's longterm workforce shortages. 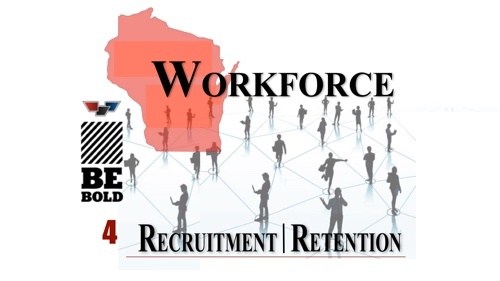 If you are interested in working with Wood Communications Group and Competitive Wisconsin on the workforce recruitment and retention initiative, please contact Kristin Dollhopf at kdollhopf@wcgpr.com.